Ayurvedic Medicine brings the unique theories and traditions of Ayurveda alive so that they are accessible to the complementary health practitioner of today. 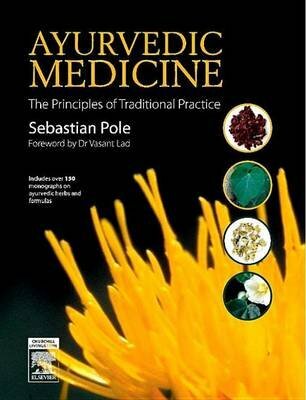 This book offers a clear, accessible and yet detailed guide to Ayurvedic herbalism. It encompasses a brief history of the growth of Ayurveda, a discussion of its fundamental principles, treatment strategies as well as the energetic approach of traditional Ayurvedic herbal pharmacy and pharmacology. It also emphasizes the importance of using sustainably harvested herbs in clinical practice. The introductory "theoretical" chapters complement the core of the book that includes over 100 plant profiles of Ayurvedic herbs and 50 traditional formulas.The herbal "material medica" of Ayurveda is discussed, along with traditional ayurvedic energetics, in way that is accessible to the western complementary practitioner.Uniquely styled plant profiles include information on over 100 herbs and 25 formulas.The Ayurvedic theory of clinical treatment is clearly presented, as well as its application.Material represents a blend of traditional medicine with modern research, combining pure Ayurveda with modern phytotherapy and bio-medicine.Coverage of each plant includes details on growing habitat and special characteristics.Practical step-by-step instructions explain how to prepare herbal medicines in the unique Ayurvedic style - oils, creams, ghees, jams, etc.Photos are provided of both the freshly growing herbs and dried samples.Authored by an experienced Medical Herbalist, Ayurvedic practitioner, and passionate herb grower well-versed in the classical Ayurvedic texts and contemporary writings.